The Upcoming caught up with director, James Kent, producer, Rosie Alison and lead actors Colin Morgan, Kit Harington and Taron Egerton as they discussed their experiences of Testament of Youth and what it meant to bring to life such a moving memoir on the hundred-year anniversary of WW1. Rosie, what compelled you to bring Vera Brittain’s memoirs to the screen? Rosie Alison: I was always very moved by Vera Brittain’s very loving act of remembrance on her past. It feels very apt now because it is an elegy not just for the youths lost in the First World War, but also the youths lost in all wars, and at the heart is this very fiery character who goes through an extraordinary rite of passage. In it, she tackles the worst life can throw at her, and yet she never gives up. This isn’t a typical war film – it seems more focused on the hearts, the minds and the emotions? James Kent: You are right. One of the things that as a director I look for in a film is that it talks about the universal human condition. What struck me when reading this script is that this isn’t just a period drama, its a film about ambition, love, grief, survival and courage and those things speak to us now. It’s so important that film sets an example for people to look up to and relate to. Kit, how different was your experience working on this film in comparison to your role as Albert in War Horse, both being period war dramas? Kit Harington: I’ve always been very interested in this war, and I think a lot of young people are; I actually read this book in school as well as the war poets. It was interesting this time round to play a role of a man who actually existed, and great to have so much research about him available to me. It seemed an honour to be given the role of a real person in history. Taron, was there a point where you had to let the real Edward go and just go with the script, or were you ever mindful of the real boy and how young he was? Taron Egerton: I think in your desire to do justice to the story you never really let go of the sense that you are playing a real person, but although we had all these letters and photos of the real boys, we don’t have access to videos, so you can’t see their mannerisms for example. Personally I would rather see an interpretation over an impression, but you never forget, especially when its set in such horrific circumstances. Do you think it made it easier and more accessible for you to engross yourself in the First World War setting considering it is the hundred year anniversary this year? KH: There will be a lot coming out about the First World War this year, and I think it is important to study it and remember it. I think what is so engaging about this subject, especially for young people, is because it was the first modern war and in that way it doesn’t feel like such a long time ago: it still feels relatable. How different is the experience of shooting television and film? JK: I think one of the biggest changes is the time and care you have before filming. As a director, you come on about 18 months before you start shooting, so it’s really in my bones by the time I start shooting. Also you have much more time for the editing as well, and you’re not doing separate takes like in television. KH: The biggest difference I have noticed in acting for film is that you have a shorter time for character development, you don’t have the luxury of, for example, ten episodes to craft your character. Kit, did you return to your war poetry from school to help you understand this role? KH: Yes, I did, and it did help but I mainly referred to Letters from a Lost Generation, which was the most emotionally useful source for us, as actors, to be able to read our characters’ words. How much did you use the original book and had you come across it before? CM: I hadn’t actually come across the book before the script but I think what we kept true, especially to the most beautiful part of the book, which is Vera’s lost youth and her ability to overcome her difficulties. It’s the most impressive part – her ability to pick herself up after losing a massive part of her youth. TE: The most influential aspect of this book that helped so much in my ability to portray the character was hearing Vera’s words and her affection for her brother, and how they really were fantastically close. What was like working with Alicia Vikander? KH: She’s an amazing person to work opposite, she’s so detailed. As an actor working opposite her you never worry about the scene going flat. TE: I can only describe her as a force of nature, she’s so hardworking and it’s her second language which is astonishing. CM: I agree, you feel you are living it with her, which is what is so special about her acting. You feel everything she feels, because I genuinely believe that she felt everything she was acting. JK: She put everyone on the set at ease, she doesn’t display any insecurities on or off-stage and everyone really felt that. What was the thought behind casting someone who is not part of this British history, and what do you think it brought to the film? JK: Alicia has this sense of fire and tragedy in her acting that goes beyond national boundaries, and it is important to remember that this film isn’t just about British loss, but more about the general loss. Most countries in Europe lost huge numbers of people and so, even though of course we are doing a British story, we wanted to speak beyond the Channel, and she has something a bit “other” about her to enable this. Kit, how did you get into this role? KH: Roland was very sure of himself, he got the top grades and was very confident in seducing Vera, he had mastered everything at his age. I think I had to try and remember what it was like to be 17 again because I am now 27, and so playing someone much younger than myself. 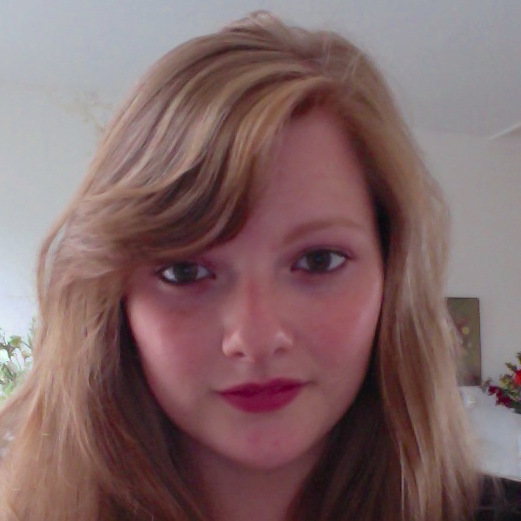 I basically had to step back and portray a younger, cockier version of myself, if that is at all possible. Colin, did you have any experience practising being blind for your character? CM: Yes I did, I contacted a veteran charity in the UK, based in Brighton. I wanted to interview someone who was older who had lost their sight in the Second World War, as well as someone younger whose blindness was more recent. I got both perspectives, but also when I arrived they decided they wanted to put a blindfold on me, so I became a resident for five or six hours. It was a very surreal experience, which taught me a lot emotionally, but also I found that I was convinced of certain things that weren’t true. For example, I was convinced the woman leading me around had a pink cardigan on. She didn’t – she was wearing a green jumper, which was very odd as they took me to the same places with my sight so I could see how different it was to what I had imagined. Are there aspects of this filming that you are going to miss when you go on to your next project? CM: There is always a bit of a comedown after a project, I think if there isn’t then you are doing something wrong. KH: I agree, but what I have noticed specifically is missing the freedom of the body that such a great director and a great camera crew allows. I know I have felt boxed-in on a lot of the projects that I have worked on. TE: There is a personal connection with this project, especially in the extremity of what these young people went through. It is felt by the passion that everyone on the set had towards the story, as well as the very tangible sets that created an emotional, personal connection, which was infectious. Especially the sets, which were horrible and very unpleasant to film in with all the crawling in the mud and the piles of bloody bodies – which is what it should have been to feel the connection with the characters. 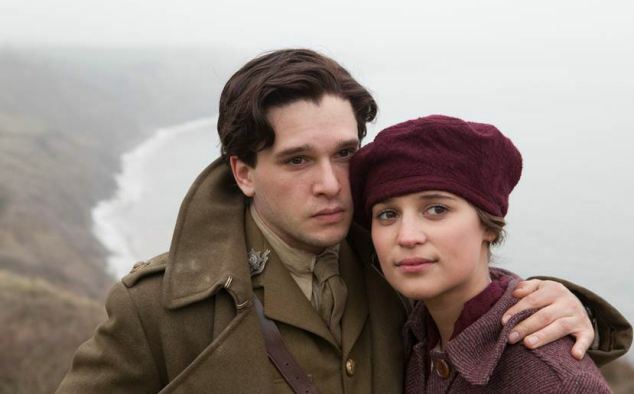 Testament of Youth is released nationwide on 16th January 2015.